If you think that hard work and good decision-making are the only keys to running a successful business, think again. Although these issues are critical in any business endeavor, in reality it is the paperwork that is key to creating and maintaining your business. That’s right, paperwork! From employee contracts to real estate leases, these and other legal documents are incredibly important, but can be difficult to decipher. 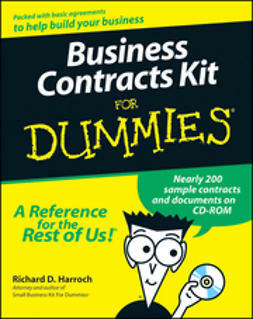 If you’re a business owner who is not a legal expert, Business Contracts Kit For Dummies will provide you with advice, forms, and contracts that will allow you to clearly spell out your business intentions to employees, vendors, and customers. 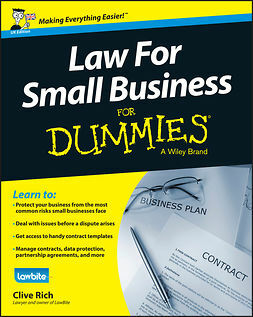 Even if you’ve been in business for a while or are a legal expert, you can still benefit from this book by using the nearly 200 sample contracts and documents contained on the companion CD-ROM. 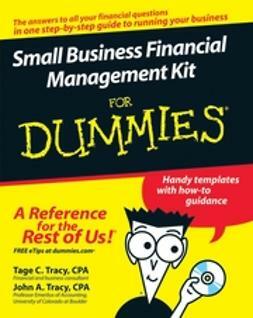 This unique kit is just what you need to make business agreements more agreeable. And, best of all, it gives you dozens of sample contracts on the companion CD-ROM that you can use right away! Nearly 200 examples, checklists, and fill-in-the-blank contracts are all a mouse click away, including articles of incorporation, independent contractor agreements, checklists for office leases, software license agreements, confidentiality agreements, and much more. 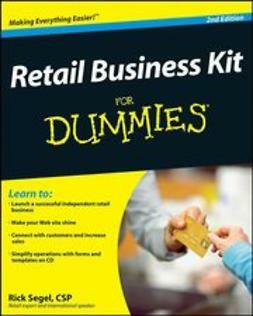 Business Contracts Kit For Dummies will show you how to cover your assets without making it a full-time job.